"I can see the enemy lines grow, and yet they are unplayed. My army has no finesse or motivation, but they try their best to at least get a few punches upon the opposing rebel group of the infamous "Steam Library" faction." Hi, I’m Laz. I’m a virgo who likes long walks in the woods and a good lasagne. When I’m not drawing, sewing, reading or doing something else than video games, I like to play video games. My favourite games often include the genres adventure, rpg, multiplayer, story or rogue-like.! Stardew Valley and various RPGs! Cropped image of select characters from Group 2, featuring Fats McGee, Ztixx and Queek, courtesy of yours truly, without my party's consent to designs. Long time no see on the activity feed! These past months I've been far too busy to play any other video games than Overwatch. I DID start playing some Civilization V with a friend of mine, but mostly I've dedicated most of my time to studies, Overwatch and Dungeons & Dragons 5e. I started playing as a high elven noble in one campaign, and before I knew it, I became the Dungeon Master of three groups! Me and my groups have very much fun, and I'm glad to hear my players enjoy it as well. Though I haven't played a wide variety of video games, I sure have studied them, considering I am studying a bachelor in the field of Interactive Media with a focus on game design, where I take a look at both digital and analog games. Dungeons & Dragons acts like a really nice creative outlet (as a DM), as well as an interesting point of study when I create the user experience for my parties. Backlog, I am sorry, you have been neglected. Colour me defeated. I can’t believe it’s been 2 or 3 months since I actually played any other game than Overwatch. Mostly busy with schoolwork and fatigue. Overwatch. 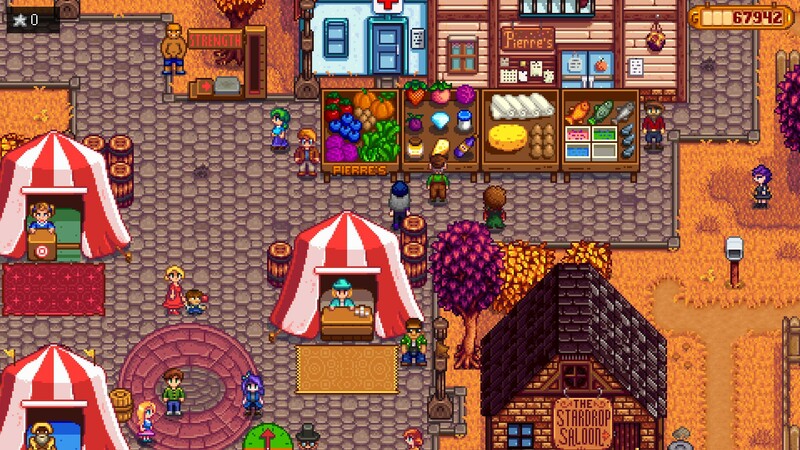 So I have been going back to play Stardew Valley today and it’s a nice break from the fast-paced FPS that is Overwatch. This is my second Valley Fair, in which I ended up getting first place in the stand contest (with a whooping 99 points!). Last year didn’t go so well because I was super unprepared for it, but now that I have gotten the habit of saving 10 normal versions of each harvest as well as 5 gold ones, I have nothing to lose! Been a bit sick. Mostly just Overwatch, Reigns, World of Warcraft and Netflix lately. Something to interrupt my seemingly neverending streak of Blizzard-branded games, if only for a moment, has arrived! Today I woke up and I got a craving for a new single-player RPG title I could play, and while I do have Mass Effect to continue on, I am hungering for something fantasy-themed. Behold as I have already put 7 to 8 hours in The Witcher 3: Wild Hunt today! I have not played the prequels, but as far as I heard, it’s not a must. I am really enjoying it so far… .. Whelp, back to Overwatch! I’ve been playing a lot of Overwatch, World of Warcraft, Starbound (Unstable, before the release), Stardew Valley and some Cook Serve Delicious, Woof Blaster, Nuclear Throne, Terraria, Binding of Isaac: Rebirth and Rocket League. Nothing grand to report, much of the good ol. I married Harvey in Stardew Valley. Played through the last episode of Life is Strange today. It was pretty a pretty good Telltale-esque game. Preferred episodes 1 through 4, but 5 was also pretty good with it’s unique marks.